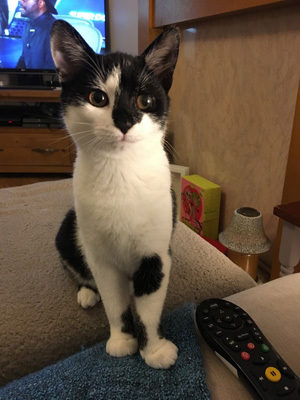 "We rehomed Zizi from Cats Protection North Herts in early November 2016. 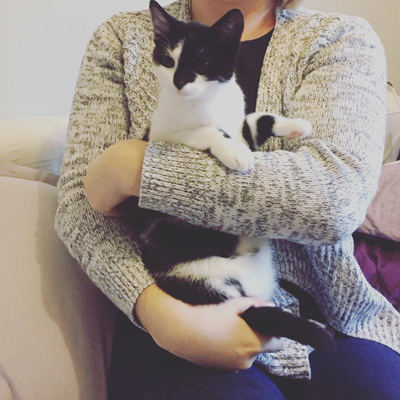 We had previously rehomed via them but after our last cat unfortunately went missing, several months later after moving house we decided we missed the feline company and decided to approach them to see if there were any kittens to rehome. With their help, we were put in contact with the fosterer of Zizi who was the last of her litter to go. We immediately fell in love with her on meeting and decided to pick her up as soon as possible. She certainly has a distinctive personality and fits in perfectly to our family. 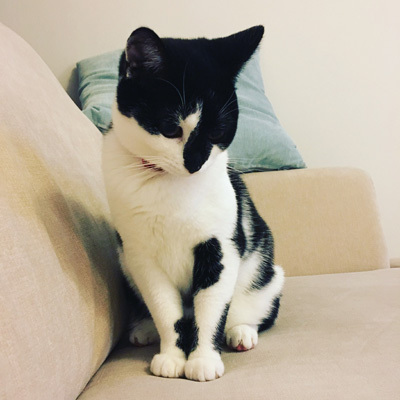 She has a completely different character to our previous kitten and she has made such an impact on both of us and our family and friends. 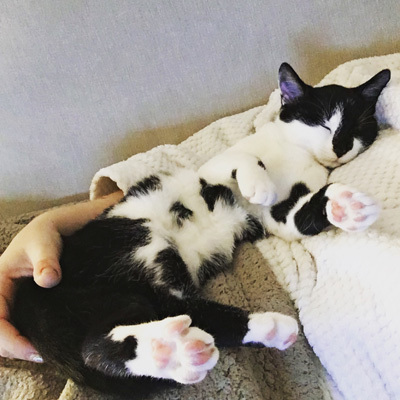 She loves to play all the time, is constantly happy and is most definitely a lap cat - she'll quite often sleep curled up in our arms whilst we work or even nap! Her favourite toy is a dishevelled piece of fluff from an old toy that she loves to play fetch with repeatedly. 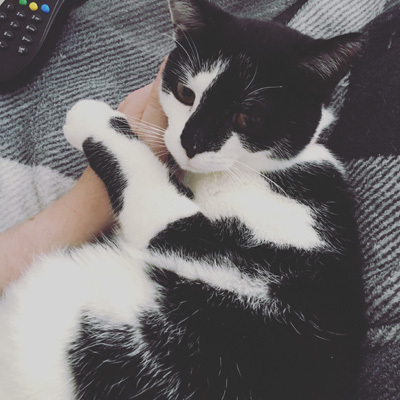 She loves when people come round and is instantly attached to them and ready to play. Having followed Cats Protection online when we began looking I knew of a set of kittens who had such an unfortunate start to life and it turns out Zizi was one of these kittens. She had been dumped in a box with her siblings and were found with cat flu and eye infections. They had been nursed back to health by Cats Protection, and other than a slightly cloudy right eye and a dislocation in the tip of her tail you'd never know she had such a poor start to her life. She's far from that start now and is growing into a gorgeous loving girl." What a wonderful update - we are so pleased for Zizi!